When a little girl is found brutally murdered, veteran NYPD homicide detectives Hiro Masimoto and Ryan Sullivan are determined, against all odds, to solve the case. In the midst of the worst heat wave in New York City’s history and with personal and professional pressures mounting, the detectives pursue the mother’s ex-boyfriend and former criminal, Nick DeSantis. But DeSantis, a two-time felon, has skipped town and the detectives struggle to collect enough hard evidence to extradite him before he slips completely out of their grasp. With a cast of outlaw characters and more twists and turns than a coiled spring, Brooklyn Heat delivers a taut thriller of the highest caliber. D. James Eldon is a poet, novelist, and short-story writer from New York City. 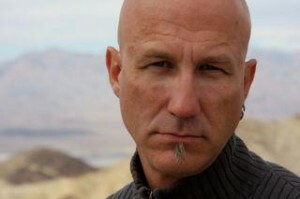 His work has been published online and in print, in the US, Canada, and Europe, in both English and French. His debut novel, All The Way Gone, the first of the Brooklyn Homicide Investigations, is available as an eBook and paperback in English as well as paperback in French (under the title Sur Le Fil). 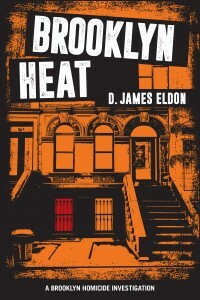 The latest Brooklyn Homicide Investigation, Brooklyn Heat, is available now in both ebook and paperback. And, in 2017, look for the third Brooklyn Homicide Investigation, The Pope’s Guard. And if people use the coupon code - 9NYHU7HL at checkout they can get 20% off the retail price (the paperback through CreateSpace retails for $15.99, the discount is $3.20, so the final price is $12.79). The discount will remain in effect through October. The eBook retails for $4.99 and remains unchanged. The author will be awarding a $20 Amazon or B/N GC to a randomly drawn winner via rafflecopter during the tour. Dawn, hot as fresh blacktop, creeps over Brooklyn. Aggie Jones, in a worn yellow bathrobe, sits at her window enjoying the breeze from the air conditioner and watching the sky change color. The street below is empty of last night’s hipsters and thugs. Drunk vampires crawled back to whatever hole they sleep in, she thinks. This is Aggie’s favorite time of day: quiet enough to hear the birds chirp; cooler and slightly less humid after the concrete has shrugged off the triple-digit temperature of the previous day. The noise and heat of the city is turned low for an hour or so between the denizens of night and citizens of day. As the tea kettle begins to softly whistle, she sees a man leaving the house across the street. The one with that nice woman and her little daughter, she thinks. Seems awfully early to be leaving, unless you got somewhere very important to be. The streetlights flicker off as the kettle screams. Aggie rushes to the kitchen, leaving the quiet and the changing sky behind. An hour later, she’s squeezed into a seat on the 6 train with sweaty, unhappy others. The serenity of early morning is forgotten, as are the birds, sky, and the man across the street.